A big thank you to Lingo for sponsoring my blog and RSS Feed this week. Lingo is reinventing the folder for today’s visual world. 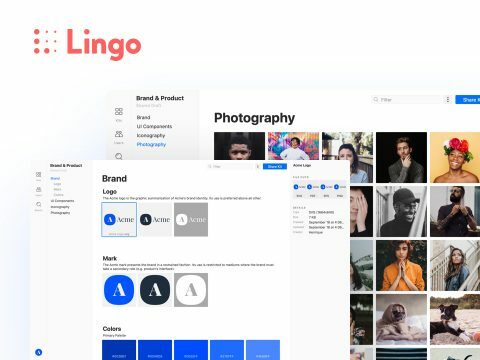 Use Lingo’s flexible canvas to build and share living style guides, image libraries and design systems with your entire team. It’s the perfect tool to help designers and marketers ensure brand consistency at scale. Built by the team at Noun Project. Try it free at lingoapp.com.